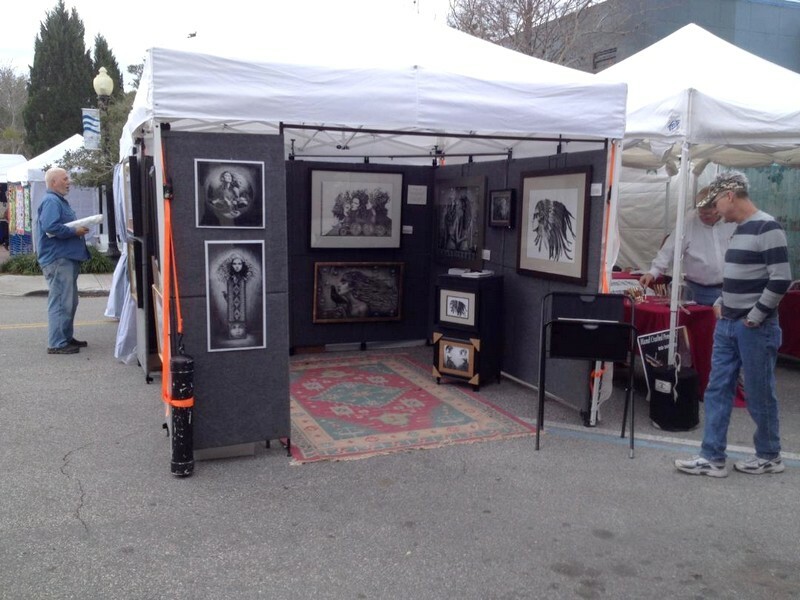 Since my last post, I have participated in the Boca Raton Museum of Art 28th Outdoor Juried Art Festival and the Downtown Dunedin Craft Festival. What different experiences than what I’m used to in Philly! 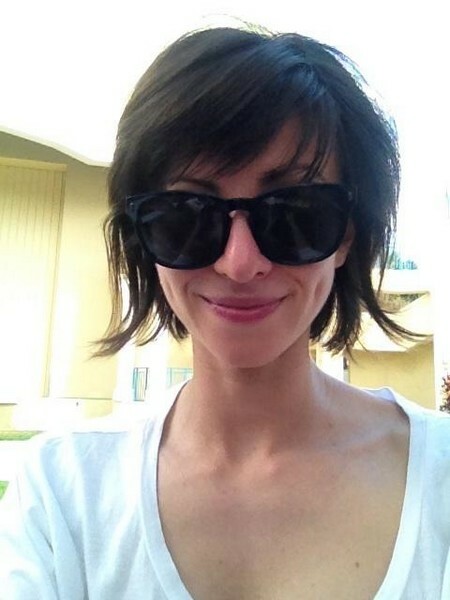 I left around 4 a.m. the night before Boca Raton began to set up and camp out for the festival the next day. I probably should have expected it, but there were so many bugs! With the humid weather they were everywhere and I wasn’t prepared at all. All of the participants were worried about the chance of rain predicted, and we prayed to the art gods for it to not as we set up our tents. 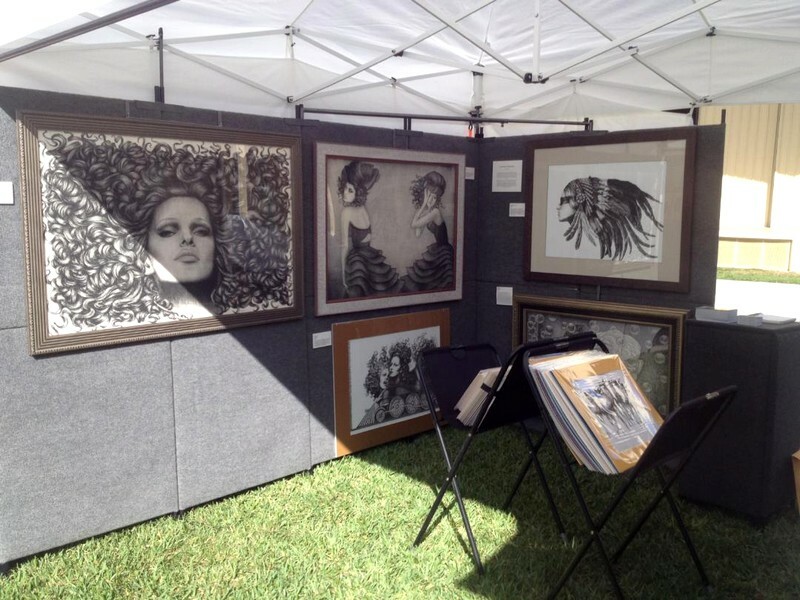 Boca Raton wasn’t what I expected unfortunately, and it made me worried about the art fairs to come. As an artist, it’s all trial and error. There’s never a set practice that will be stable to do. There’s always different competition, different atmospheres and different customers. This isn’t an easy career, but even with hard challenges, I’m always sure that this is what I’m meant to be. During the week, I’m still cutting matte unfortunately. The house is empty a lot of the times, but it makes it a lot easier for me to work on the 93082403820 things I have to do. The next weekend was Dunedin, and I had hope that this would be a better turn out than Boca Raton. To my joy, it was. 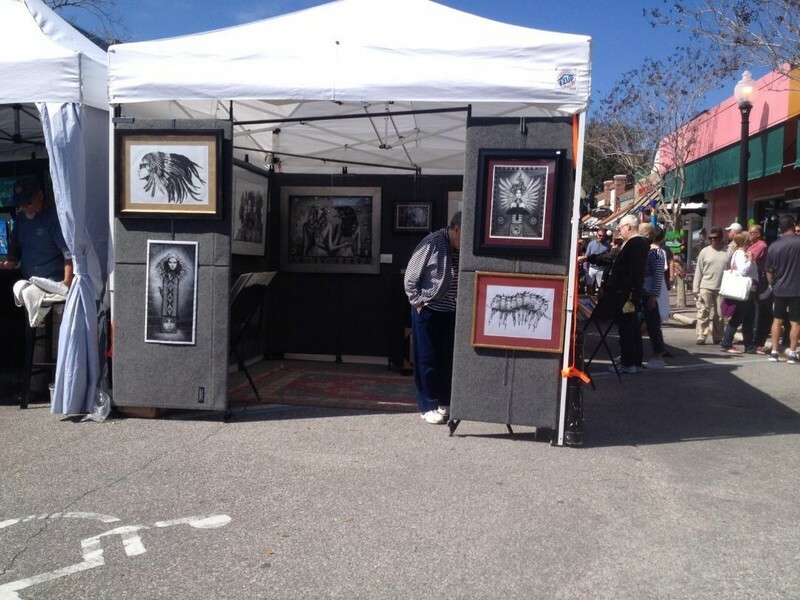 I met amazing people during the Downtown Dunedin Craft Festival. It feels so great when people tell me that my work inspires them. The ultimate goal of my work is to do just that: to inspire people. I want it to speak to them in a way they’ve never been spoken to before. I want people to follow their passions just as I do, because we only have one life to live and time is precious. 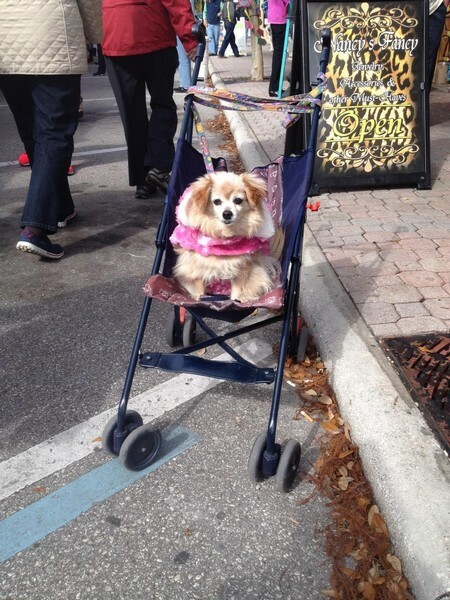 Maybe it’s a Florida thing to put your dog in a stroller? They were treated as if they were people. Better than animal cruelty I guess! I wonder if people do this in other parts of the world. Or maybe it happens in Philly and I just haven’t encountered it at all. 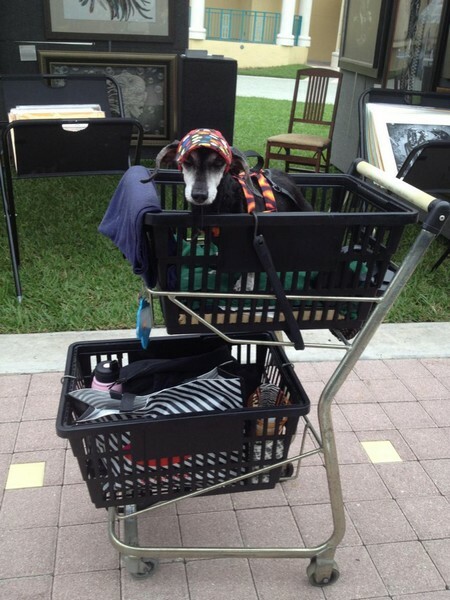 I’m thinking about starting some kind of photo collection of dogs in strollers. Just something to keep me amused and to document my time here! 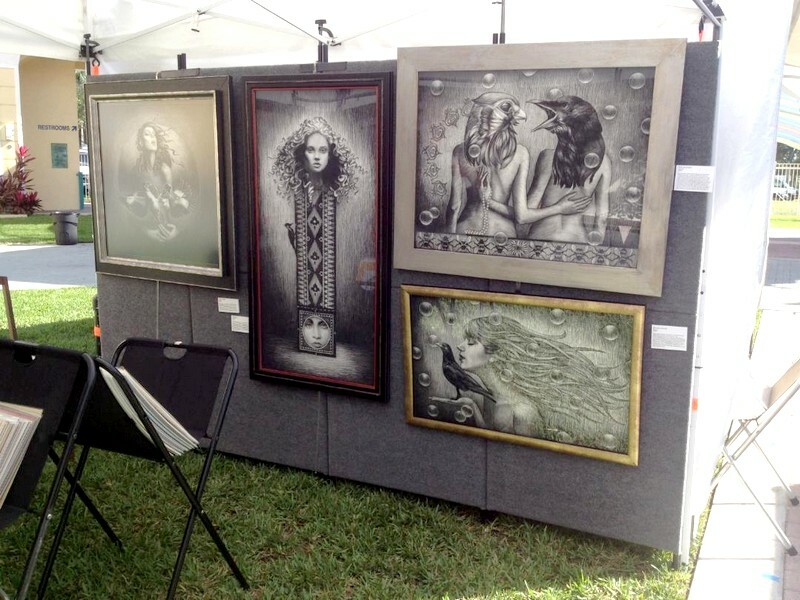 Next is the Las Olas Art Fair (Part II). February has flown by so quickly. (Don’t forget to follow my adventures via Twitter @aalexandrin and use the hashtag ‘#ArtinFL’ to send me any advice or best wishes!) 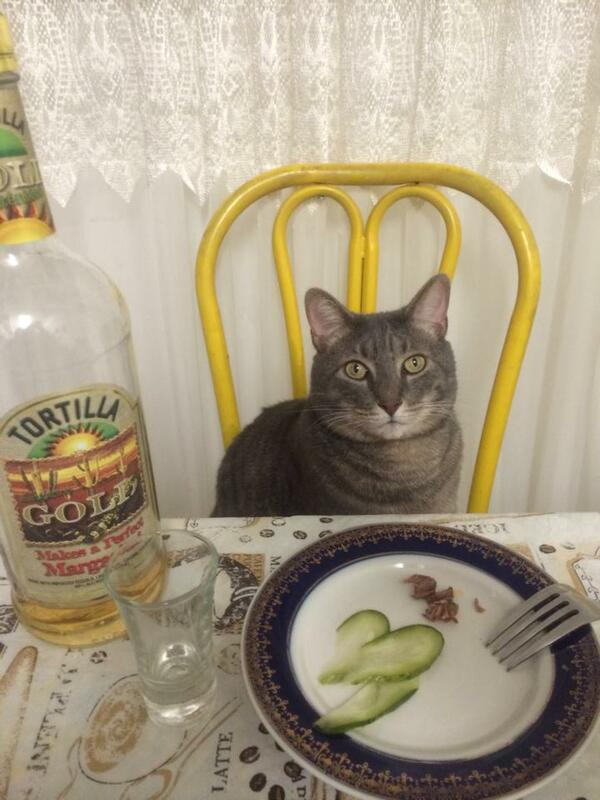 I’m kind of glad it has because I miss my cat, Mr. Grey so much! Maybe I should get a stroller to put him in. 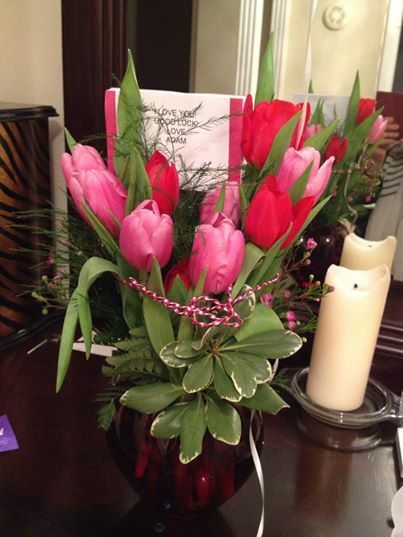 And of course I miss my love, who sent me these beautiful flowers on Valentine’s Day. Before I end this post, I want to bring up all of the controversy in Ukraine. As a native-born Ukrainian, seeing a woman speak out like this says so much. I wish the best to everyone there and hope it all settles peacefully. Please click the photo or the link below to watch this woman get her brave words out in the middle of a riot.